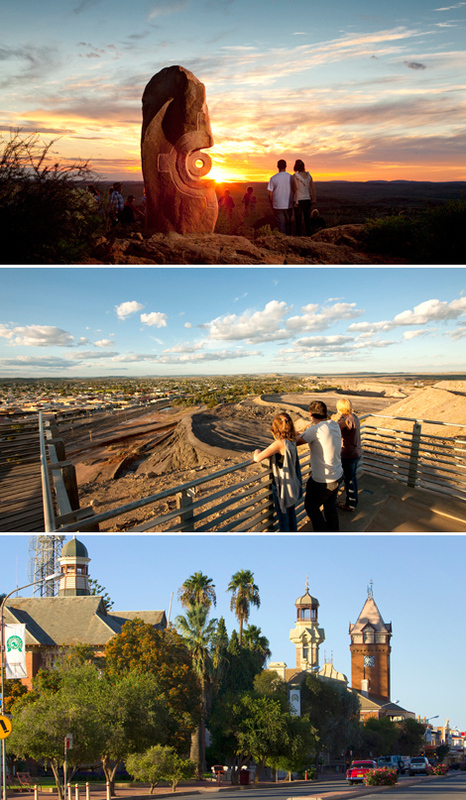 Attractions: Art Galleries, The Big Picture, The Living Desert, The Line of Lode Visitors Centre, Museums, National Parks, Mining History, Heritage Trails, Sculptures Symposium, Silverton, Daydream Mine. Activities: Fishing, Golf, Sports, Hiking, Camping, River Tours,Swimming & Watersports, Museums. www.visitnsw.com/brokenhill - NSW Destination Information. www.brokenhillaustralia.com.au - Local Visitor Information Centre. www.brokenhill.nsw.gov.au - Local Council Website. Broken Hill Events Calendar - What's on. www.activebrokenhill.org.au/ - Active Broken Hill.